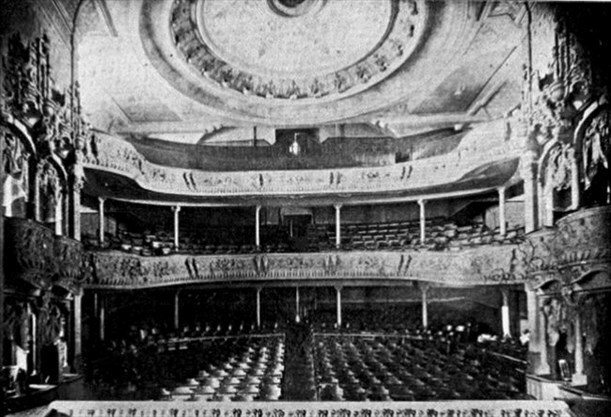 The twelve-hundred-seat theatre was a marvel of its day, with a finely decorated dome, central heating, and 300 electric lights. It turned out the Opera House was financed using money stolen from the county coffers, but in spite of that scandal, it quickly became the heart of Barrie’s cultural life. Vaudeville acts were all the rage in the early days. Then came the first silent film, “The Great Train Robbery,” in 1905. Children paid five cents and adults a dime to marvel at the “moving picture show,” which was only 12 minutes long. Fire destroyed the Grand Opera House in 1926. It was only partially rebuilt, but continued to operate for many more years before being torn down.